Celtic played hosts to St Johnstone at Celtic Park in the fifth round of the Scottish Cup looking to secure a place in the next round of the domestic competition. The Hoops began the match on the front foot and took the lead in the 3rd minute courtesy of Scott Sinclair’s goal. 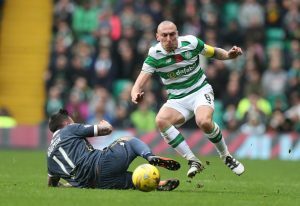 Scott Brown doubled his side’s lead in the 9th minute through his long-range strike. The Glaswegian outfit went on to ensure a comfortable win in the second half via two more goals from Sinclair and one from James Forrest. The match finished 5-0 in favour of Brendan Rodgers’s men as they comfortably progressed into the next round of the Scottish Cup. Let’s take a look at how each Celtic player fared during the game against St Johnstone. He hardly had anything to do in the game but passed the ball accurately from the back to earn a comfortable, clean sheet for his team. The Hoops full-back defended well and was a good outlet for his side down the right flank. He commanded his box well to secure a well-deserved clean sheet in the game. The Croat was a solid presence at the back until he had to go off with an injury at half-time. The left-back had a mixed game for the Hoops today. 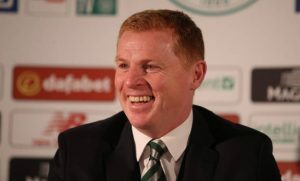 He got a handy assist when he set-up James Forrest in the second half. However, Hayes was guilty of committing too many unnecessary fouls during the encounter. The Celtic midfielder battled hard for every possession at the centre of the park and managed to get his name on the scoresheet with a brilliant strike from long range. The St Johnstone keeper saved his goal-bound attempt in the second half. McGregor tried his best to get himself involved going forward and was unlucky not to score on the day. He was a menace for the St Johnstone defenders and scored the decisive second goal of the contest with a brilliant strike in the 9th minute. The Hoops midfielder squandered some excellent chances to score and was a frustrated figure in the opposition half. He was rightfully subbed at the hour mark for the more energetic, Odsonne Edouard. The English winger scored a hattrick in front of the home supporters at Celtic Park. It was a perfect day’s work for the Hoops talent as his three goals were enough to secure progression into the quarterfinals of the Scottish Cup. He worked hard for his team and got a well-deserved assist to show for his efforts. He came off the bench at half-time and did enough to restrict St Johnstone from scoring a goal in the second half. Two of his goal-bound attempts were blocked by the St Johnstone defenders, but it was an energetic cameo from him nonetheless. He narrowly missed the target with his shot from outside the box. 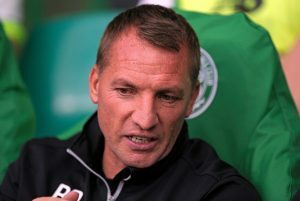 Celtic Sign Prolific Attacking Midfielder To A 5-year Extension: Master Stroke By Rodgers? Celtic Given Strict Deadline To Sign French Forward For £5m: This Can Be A Shrewd Move From Rodgers!